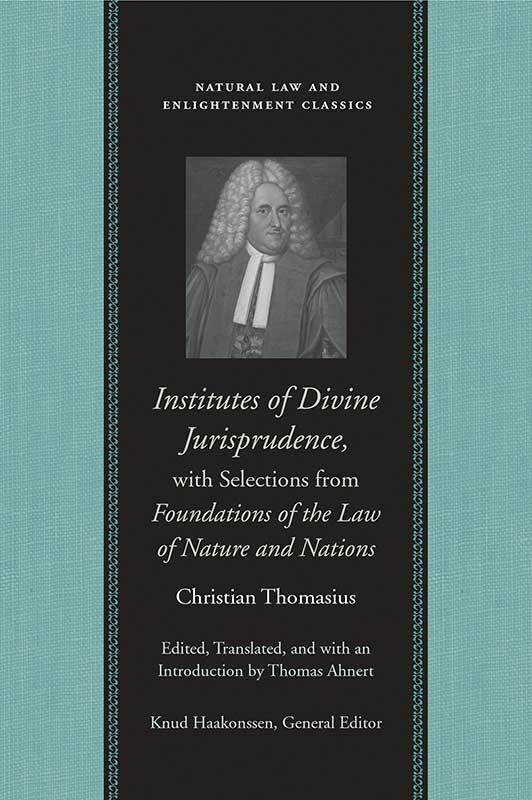 Christian Thomasius’s natural jurisprudence is essential to understanding the origins of the Enlightenment in Germany, where his importance was comparable to that of John Locke’s in England. First published in 1688, Thomasius’s Institutiones jurisprudentiae divinae (Institutes of Divine Jurisprudence) attempted to draw a clear distinction between natural and revealed law and to emphasize that human reason was able to know the precepts of natural law without the aid of Scripture. Thomasius also argued that his orthodox Lutheran opponents had failed to understand this distinction and thereby had confused reason and Scripture. This volume also contains significant selections from his Fundamenta juris naturae et gentium(Foundations of the Law of Nature and Nations), published in 1705. In Foundations Thomasius significantly revised the theory he had put forward in the Institutes, and much of the Foundations therefore is a paragraph-by-paragraph commentary on his earlier ideas. Editor's introduction, annotations, note on the text, bibliography, index.